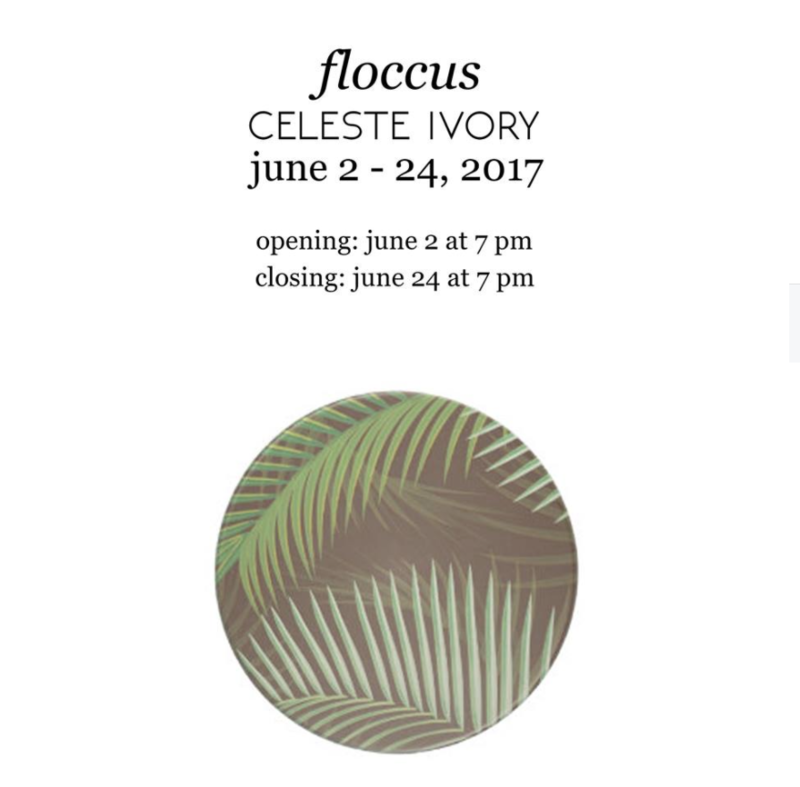 FSU Art MFA ’19 Celeste Ivory will open a new exhibition, Floccus, at 621 Gallery this Friday, June 2nd 2017. There will be an opening reception at 7:00PM. In Floccus, Ivory examines phrases surrounding weaving through non-traditional fiber arts. Her recent work considers the restraint and commodification of nature, questioning our balance and experience in the environment and culture we share. She responds to well-known idioms, such as “pull the wool over one’s eyes,” “a wolf in sheep’s clothing,” “what a tangled web we weave,” and “spin a good yarn.” Historically, these statements addressed the suspicion of and influence held by weavers, who either spin and create or unravel the world, which also correlated to other power plays in social structures. Ivory’s art is future-focused, and informed of the continual relevancy of the lessons in fiber for all flocks to be wary of fleecing. Floccus will run through June 24th, and will have a closing reception on the last day of the exhibition — also at 7:00PM. Celeste Ivory is native Floridian. She holds an undergraduate degree in Anthropology and is a current MFA candidate in the Studio Arts Program at Florida State University. With over a decade of service to the State of Florida in historic preservation, she has seen firsthand the impact of the rapid depletion of the state’s precious natural and cultural resources. These unsettling conditions elicit curiosity and research, and summon her to respond. She works in glass, print, sculpture, weaving and non-traditional fiber arts. Ivory’s obsession with both traditional and contemporary textile arts, weave and crystalline structures, and material experimentation create new textures to illustrate questions involving these challenges.